SX-R™, Yamaha® Superjet™ and EX™. 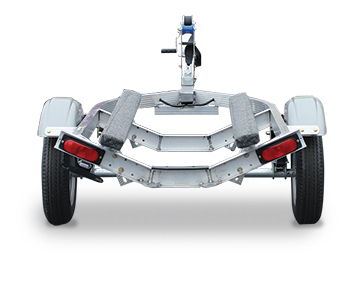 60” Tongue: Long 60” tongue for easy trailer maneuvering and launching. Adjustable Bunks: 5’ bunks adjust from left to right to properly accommodate the craft hull, and can also be angled to perfectly cradle the craft. Galvanized Axle: Galvanized spring axle for corrosion resistance.